You’ve heard it said that you never get a second chance to make a good, first impression. Not only are first impressions registered with lightning speed, but they also last a surprisingly long time. As we head into winter, what better time to evaluate your outdoor areas and carry out the necessary modifications to make your guests’ first impressions count in time for the 2019 season. Quick fixes could be something as simple as adding more benches or sprucing up your garden displays. 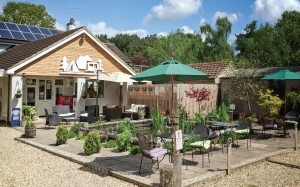 Experts in creating communal spaces, Fordingbridge has supplied the holiday and leisure sector for many years. Their range of canopies and walkways provide rain and sunshine protection, to ensure that outdoor areas can be used all year round. “Downpours are not a problem with our canopies and walkways,” explains Stephen. “This will provide you with a competitive advantage and provoke word of mouth about how versatile your park is in all weathers. “Likewise, our statement buildings can be designed and built to any purpose. For instance, if you are planning an on-site café or perhaps a crèche for children, one of our buildings will fulfil that criteria. 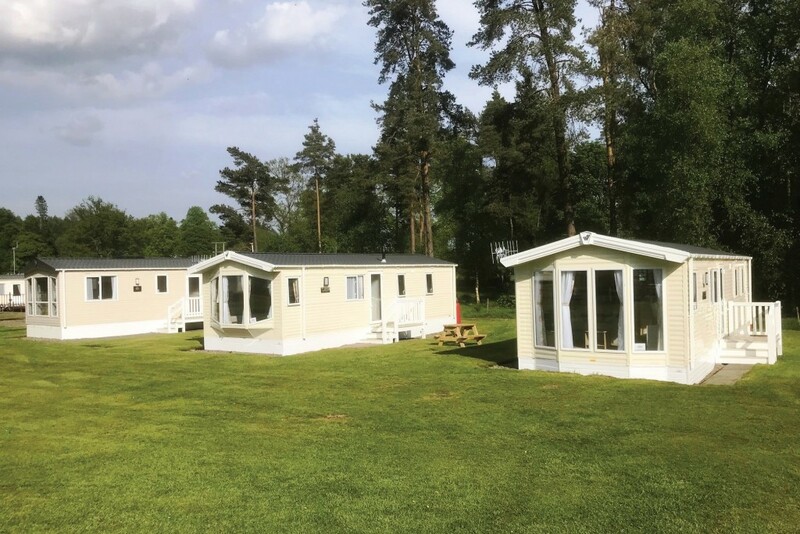 With offsite construction methods, it shortens the lead time over traditional bricks and mortar.” Hoburne Holidays operates seven holiday parks in the South East, the outdoor areas of which are maintained by in-house teams of maintenance and leisure staff. 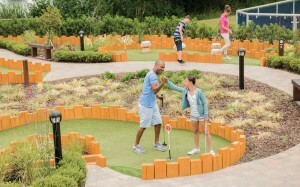 Hoburne’s parks with activity areas were re-designed in time for the 2018 season and the company regularly monitors customer feedback to ensure its parks meet customer expectations. “A Hoburne holiday is about doing what you want at your own pace and we want to provide outdoor spaces where there is plenty to keep everyone busy and bring families together in one area to have fun,” explains Jake Harrison, Group Operations Manager for Hoburne Holidays. Back of Beyond Touring Park is set in rural Dorset and boasts 80 pitches with electric hook-ups, 40 camping pitches and a glamping village, as well as an amenities block, reception and shop. 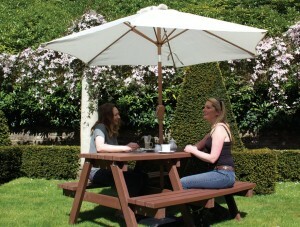 Victoria takes pride in the park’s outdoor areas and keeping them well looked after is a high priority all year round. She comments: “As we are 30 acres we can't possible compete with beautiful natural foliage, however, we make the most of the busy areas of the park, such as the reception and shower blocks by planting carefully selected flowers, bushes and trees. Pride of place in a new £1.5 million investment at Plassey Holiday Park in Wrexham has gone to a ‘glampers paradise’ of super-luxury guest accommodation. But when the 250-acre park organised a photo-shoot of its development this autumn, there were no professional models to be seen delighting in the hot tub lodges. Instead, the two families pictured had been selected from among the scores of customers who responded to Plassey’s website appeal to become its shooting stars. The idea, said park director John Brookshaw, was to put ‘real people’ in the frame – and to capture their genuine reactions to the pampering experience on offer. The families are shown exploring the glamping lodges and their long list of top-end features including a glass balcony and a bubbling hot-tub from which to enjoy distant views. “We’re delighted that so many people applied to become the models for our photoshoot, and our two families did a fantastic job in showcasing them with real enthusiasm!” said John. Team members at Hoseasons in Lowestoft have braved a skydive, taken on the Tour de Broads cycling event and tackled a Tough Mudder, with more plans to climb Snowdon and hold their own Golf Day later this month in their efforts to reach their £10,000 fundraising target. The product team at Hoseasons are taking on this series of fundraising challenges to raise money for the Family Holiday Association, the only national charity providing seaside breaks and day trips for families struggling with issues such as severe and long-term illness, mental health issues, bereavement, domestic violence and disability. 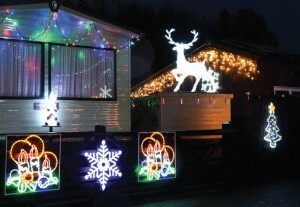 Shrewsbury’s glowing reputation for its Christmas lights display has rubbed off on a popular caravan park in the town. Every year, Oxon Hall Touring Park and Oxon Pool Holiday Home Park have an official switch-on of their own impressive Christmas lights a few days after the town’s lights ceremony. The 2018 switch-on will be celebrated with a hog roast on November 17, which is free for holiday home owners on the park and people staying on the touring park. In return, the managers will ask for a donation to the Motor Neurone Disease Association, the charity chosen by parks owner Morris Leisure and sister company Morris Lubricants in 2018. Last year, the parks raised £2,865 for The Alzheimer’s Society. 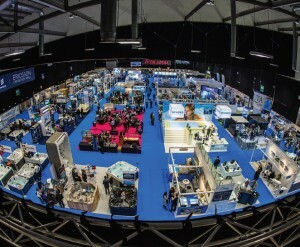 For those thinking of adding a swimming pool or hot tub, the UK’s only dedicated wet leisure exhibition, SPATEX 2019, is a must-attend. SPATEX is a shop window on all that is new and happening in hot tubs, swimming pools, spas, saunas, enclosures, steam rooms, all under one roof, at Coventry’s Ricoh Arena, from Tuesday to Thursday, January 29th to 31st. The exhibition offers a unique platform for free professional training and education and repeating last year’s success of a double parallel programme, seminars will run on all three days of the show. Senior executives from the Caravan and Motorhome Club took a behind-the- scenes look this autumn at a major Lake District holiday park which is meeting new staycation opportunities. Skelwith Fold in Ambleside was the venue for the visit following a study tour earlier in summer to the Club’s Coniston Park Coppice by members of BH&HPA’s Cumbria branch.The delegation was headed by the Club’s director general Nick Lomas, and the aim was to see how one of the organisation’s commercial counterparts was adapting to an evolving market. Skelwith Fold director Henry Wild, who led the tour of the 130-acre grounds, said there was ample evidence this year that the demand for holidays in the UK was continuing to rise. The trend, he believes, is helping to introduce more families to the notion of a British park holiday, especially via “glamping” with its appeal to a very broad spectrum of visitors. The smallest rooms in the building can lead to the biggest frustrations, but the Cubicle Centre team is working hard to make your life as easy as possible. Porthdinllaen Caravan Park is located on the beautiful coast of North Wales. The site is next to spectacular Nefyn Championship golf club and the famous Ty Coch Inn. The Ty Coch Inn was recently voted in the ‘World’s Top Ten Beach Bars’ by a recent survey. In 2016, Porthdinllaen secured planning to almost double the size of the park from 36 touring units to 60. The expansion also included a brand new amenities block which includes, showers, washrooms, a canteen area and a shop. The Cubicle Centre provided the shower and toilet cubicles, wall panels and the vanity units. All of these were constructed in Compact Grade Laminate (CGL) which is water resistant, vandal-proof and extremely durable. It is important that the panels are a higher quality for shower blocks, so they can withstand the high volume usage and constant cleaning. “The new cubicles and vanity units look fantastic. Our visitors love the quality of the washroom block,” said Siôn and Sian Williams, the Park owners. With a wide choice of ranges, contact the Cubicle Centre to discuss your washroom challenges. Educated estimates put the number of hot tubs in a holiday let setting, throughout the UK and Eire, at between 3,500 and 5,000 installations. Good news for some, with seven out of ten bookers looking for a hot tub with their holiday let while accommodation promoted as being supplied with a hot tub will generally sustain increased rates of around 30%. The bad news is that any of those hot tubs, installed pre 2018, are probably out of date and do not comply with current regulations of HSG282. Not a problem, some would say, fiercely clutching their risk assessment paperwork. Not a problem, that is, until there is a high profile incident which will send the prospects for hot tubs and their non-conforming holiday park operator, down a rather large drain. 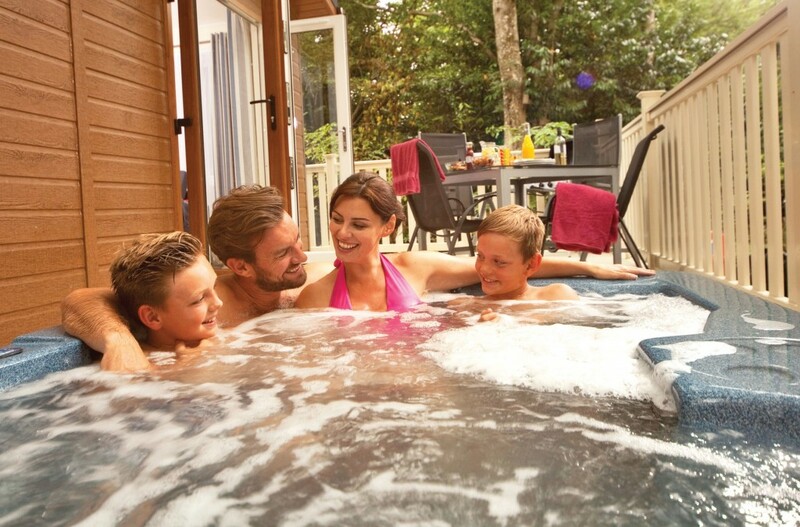 “If you speak to any online booking agent they will usually place a hot tub in the top three options search or ticked; people really do want one,” says Dan Johnson of Marquis Spas, that markets a fully-compliant range of hot tubs for the holiday let market. “While some dealers have been specifying or retro-fitting continuous feeders to outdated models, the bather capacity and water turn over rates, will still make many hot tubs fall foul of HSG282,” explains Dan. “I think the big operators are paying attention as they understand the power of the HSE and thus the importance of following guidelines – it is built into their management infrastructure,” adds Dan. 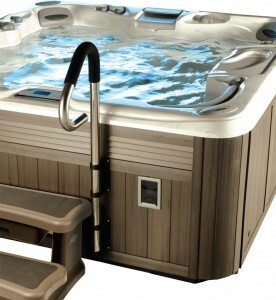 “My worry is people are getting poor advice from companies who are unaware or choose to ignore the guidelines because their product does not comply,” agrees Gareth Jones, of UK Leisure Living, the reigning UK Hot Tub Retailer Of The Year. “I would emphasise that 95% of our customers take the advice we give but there is a small percentage who disregard them dismissing them as just guidelines. “Some companies change their hot tub stock every two years however, we believe, between five and ten years is achievable, if they are properly looked after and investment has been in a quality product from the start,” Gareth emphasises. The award-winning Rotospa currently have units fitted in excess of 110 holiday parks throughout the UK and Eire. “There are several important criteria when considering which spa would be best for you,” emphasises Rotospa’s Jason Smith. 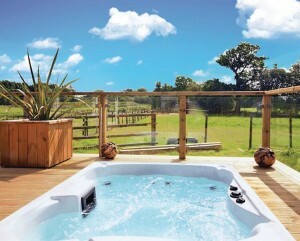 “If your spa isn’t fully HSG282 complaint, or you aren’t sure how to make it compliant, you really need to discuss this with the supplier as it is key when providing spas in a holiday setting.” Buoyed by 15 years’ experience supplying to the holiday park sector, Rotospa have now developed a fully compliant HSG282, holiday park specific spa. Dan Johnson of Marquis Spas agrees and warns: “I am aware that cases of infection are ongoing now, but are being settled out of court with NDA’s – I can only hope those who fall foul of poor operational controls learn from their mistakes. “I am seeing truly ancient hot tubs in situ, which is understandable as operators try to wring every last penny out of them and recoup their ROI, albeit as a false economy not only in running costs but also client experience,” says Dan. Verdant Leisure’s strapline - Relax, Enjoy, Experience – is key to understanding the company’s focus and why its parks are located where they are. Destination and service are the key pillars of its business strategy to deliver the best possible customer experience. A bespoke holiday park operator, Verdant Leisure offer self-catering holidays and holiday home ownership at eight holiday parks across stunning countryside and coastal locations in Scotland and the north of England. The company was founded in September 2010 following a management buy-in of Dunham Leisure Limited, owners of Pease Bay and Thurston Manor leisure parks in South East Scotland. Verdant went on to purchase Viewfield Manor Leisure Park in Ayrshire in July 2011 and Riverside Leisure Park in Northumberland in 2012. Kingfisher and Heather View holiday parks in Wear Valley and Coldingham Bay and Scoutscroft in Berwickshire were then acquired as part of an ongoing buy-and-build strategy. When holidaymakers visit any of Verdant Leisure’s holiday parks across Scotland, Northumberland, and County Durham they can expect fantastic on-site facilities, outstanding customer service, excellent holiday accommodation and a superb range of holiday homes for sale. Verdant’s holiday parks provide the perfect environment for families to spend precious time together, creating memories that will last a lifetime. Scoutscroft Leisure Park is located a couple of minutes’ walk ideally located from the breathtaking Coldingham Bay beach. Just under an hour’s drive from Edinburgh and close to the Scottish Borders, the park is ideally located for holidays and weekend retreats for all, with an abundance of attractions. Situated on the Berwickshire Coast, just an hour’s drive from Edinburgh, we then find Coldingham Bay Leisure Park. With 22 acres of beautifully landscaped grounds, the park offers the peaceful tranquillity of a countryside setting. With the beach and a host of activities and attractions just a stone’s throw away, it is a wonderful holiday retreat. Nearby, Pease Bay offers an idyllic beachfront location, the perfect place to enjoy time with family and friends. For those seeking a little more adventure, there are great water sport opportunities and a wealth of attractions available in this spectacular corner of Scotland. Still in Scotland, Thurston Manor is nestled at the foot of the Lammermuir Hills near the stunning East Lothian coastline, amid 176 acres of breathtaking countryside. This beautiful holiday park is under an hour’s drive from Edinburgh so visiting the capital is easily done. Set in the heart of the beautiful Ayrshire countryside, Viewfield Manor provides an ideal base from which to explore the historic attractions, thriving market and seaside towns and world famous sporting locations that Ayrshire has to offer. Viewfield Manor is situated only 20 minutes from Ayr, and with attractions such as Culzean Castle, Kelburn Park, and Irvine, Troon and Ayr beaches all within a 30 minute journey. Move down to the heart of the stunning Northumberland countryside, Riverside Leisure Park, sits on the edge of the Wooler Water. For those looking for a base to explore all that Northumberland has to offer, or those simply wanting to relax and unwind in a tranquil hideaway, Riverside combines superb facilities with a wonderful woodland setting and an abundance of wildlife to create a truly unique holiday location. Meanwhile, Heather View is the perfect base from which to explore everything that County Durham has to offer. Within a few miles you can be exploring the outstanding Durham Dales or the beautiful Hamsterley Forest with its endless walking, cycling and horse riding routes. The local area is steeped in history with an abundance of castles and museums to discover. There are so many picture-perfect villages in the region, full of quaint shops and tearooms. Kingfisher Leisure Park is an exclusive holiday home ownership location. Ideally located on the banks of the River Wear, Kingfisher is the perfect base to explore the breath-taking scenery, historic attractions and miles of walking and cycling routes that County Durham has to offer. Onpark facilities include a children’s play area and exclusive fishing rights on a section of the River Wear, making Kingfisher the perfect location for fun-filled family holidays. V erdant Leisure offers a wide range of holiday options to suit all budgets, whether guests want to buy or rent a holiday home or caravan. The company has invested over £6 million in its portfolio in the last two years and customer service is very much at the heart of the Verdant Leisure ethos. All Verdant Leisure’s holiday park locations have Tripadvisor ratings of 4 out of 5 and Heather View and Coldingham Bay have Facebook review scores of 5 out of 5 and 4.3 out of 5, respectively. Recently Verdant Leisure has, this year, been awarded membership into the Green Tourism scheme; the world-leading sustainable certification for the tourism sector. Membership gives Verdant Leisure access to specialist advice and support for its business and recommendations for future improvements. All Verdant’s parks have recently been awarded the Bronze Green Tourism Award and company is looking to improve on this over the next 12 months. T his year Verdant Leisure is supporting the Teenage Cancer Trust following its success last year in raising money for When You Wish Upon a Star. Verdant Leisure aims to raise £30,000 for the charity by hosting fundraising activities at its head office and charity open days throughout the year at all eight of its parks. The company has also been shortlisted for a total of seven awards in the last 18 months – including both the Lloyd’s Bank Business Awards and the Amazon Growing Business Awards this year. Verdant has also been shortlisted for several customer service awards, in recognition of the hard work put in by the whole team to deliver exceptional customer service at all its park locations. 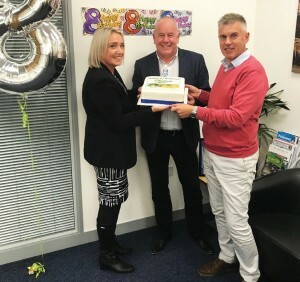 Last month Verdant Leisure celebrated its eighth anniversary and the company is due to announce its ninth holiday park acquisition in the coming weeks. 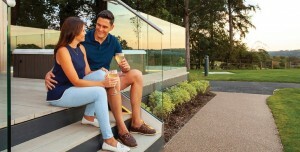 It looks like 2019 will be another pivotal year for the bespoke holiday park operator. 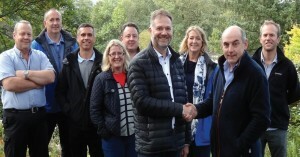 Summer has seen the launch of a substantial investment project at Callander Woods Holiday Park, following its acquisition earlier this year by Wood Leisure. Located in the popular tourist town of Callander, the Scottish holiday park is at the Eastern gateway to the Trossachs National Park and the dramatic Loch Lomond. It is also on the Rob Roy Way and the Birds of Prey Trail and is close to the famous Bracklinn Falls and the stunning Loch Katrine – meaning holiday makers can enjoy a great range of activities in the area. 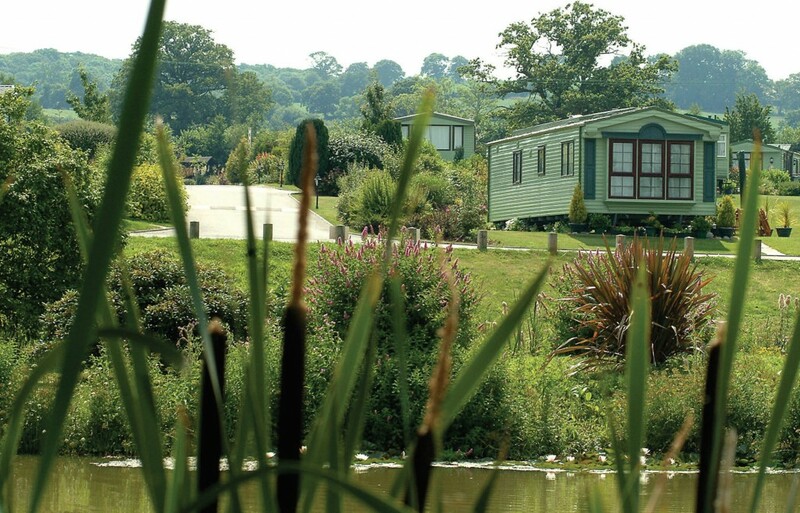 Within the upgrade plan, the majority of older static caravans have been upgraded to meet the high standards set within the holiday park group. 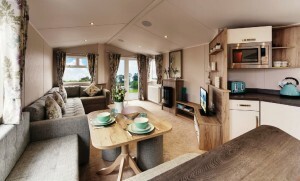 In addition, brand new 2018 caravan holiday homes were introduced to the park. Boasting an airy open plan living and dining area, spacious double bedrooms, modern kitchen and ample storage space, these modern homes are providing luxurious holiday experience to families from the UK and beyond. To meet the ever-rising demand in glamping and camping in Scotland, brand new camping pods have been installed on the park sleeping up to four and up to six people. 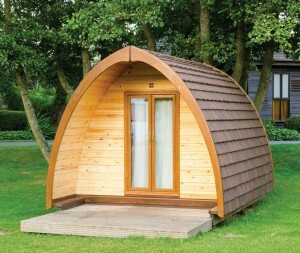 These pods are fully insulated and come complete with a small fridge, microwave, toaster and kettle. They are well suited to couples and families looking for a little break in nature away from hustle and bustle of busy cities. Some of touring guests have chosen to put down roots at the park. This is what a lady called Lynn said in her review on TripAdvisor after she stayed at the park in July: “We came here for two weeks in a tourer and loved it so much that we bought a static from the new owners. The site is extremely clean and well ran. The shower block is lovely and lots of showers so u don’t have to queue. The play is wonderful for the kids - they had a ball. I would very highly recommend this caravan park, you will come back again and again. Within the proposed plan for 2019, in line with other Wood Leisure holiday parks, the family are enthusiastic to extend the opening at Callander Woods to give holiday guests greater flexibility. They will be adding ten extra weeks to the holiday year and remain open until the end of December, instead of closing for the season in mid-October. 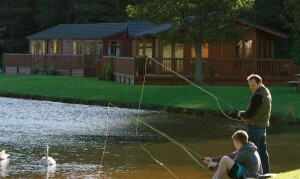 Wood Leisure is a family-owned holiday park group that has been welcoming visitors from the UK and beyond since 1981. Committed to maintaining and upgrading their holiday parks to meet customer expectations, Wood Leisure’s efforts have been recognised with a number of awards including ‘Family Business of the Year’ at the Scottish Outdoor Leisure Awards, Best Caravan Park Group and Best Glamping to name just a few. 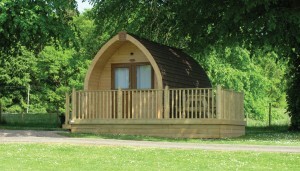 Accommodation: Caravan rental, glamping, touring and camping pitches, residential park homes, lodges. Amenities: Bar and bistro, small shop, children's outdoor play area, salmon and trout fishing, dog walking area, cot hire and high chair hire, laundry facilities, putting green, heated pool from March to October. Attractions: Nearby historic castles, swimming pools, Red Kite nature reserve, golf, fishing, Adventure Planet, children’s activities.